Each year from late July to early November, visitors from around the globe descend on the foremost humpback whale watching area in the world. The calm turquoise coloured waters of Hervey Bay, 290 kilometres from Brisbane in Queensland Australia, provide a resting place for up to 400 humpbacks each year as they migrate south along the east coast of Australia to the cold waters of the Antarctic. 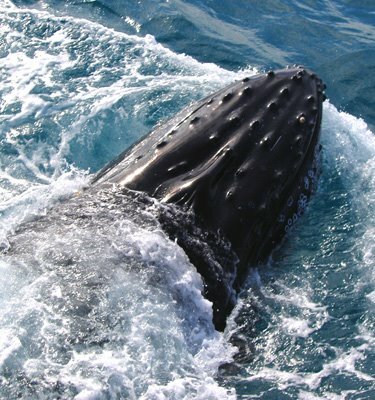 The opening of each whale watching season commences with the Hervey Bay Whale Festival, and this years event is scheduled for the 5th-13th August 2006. On Saturday 5th August, there will be a Blessing Of The Fleet at the Hervey Bay Marina and it will be conducted by representatives of the churches in Hervey Bay. The ever popular fireworks display will be held at the harbour in the evening. Another highlight of the festival will be the floats that form part of the Electric Light Parade which travels along the esplanade to the Seafront Oval on Saturday 12th August. 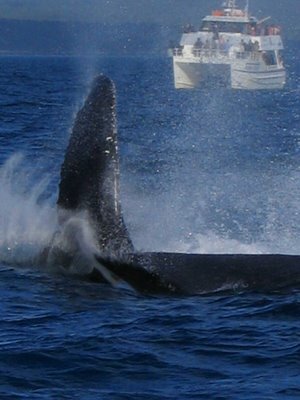 First time whale watchers are usually gob smacked by the sight of these mammals as they inquisitively approach the fleet of boats that operate out of the Hervey Bay Marina. Cries of "whooaaa" "ooohhh" "did you see that?" "they're awesome," are frequent amongst first time whale watchers as the whales go about their frolicking in very close proximity to the boats. 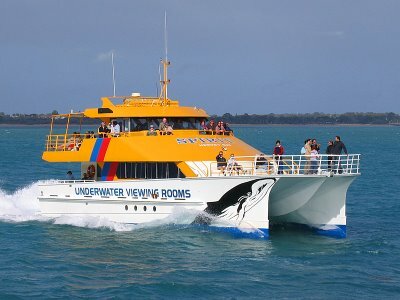 One of the most popular whale watch vessels is the Spirit Of Hervey Bay, which offers an eye-ball to eye-ball experience. The vessel has two underwater viewing rooms, each being equipped with four viewing windows. Spirit Of Hervey Bay provides excellent viewing platforms and seating along with a galley supplying light refreshments and snacks. 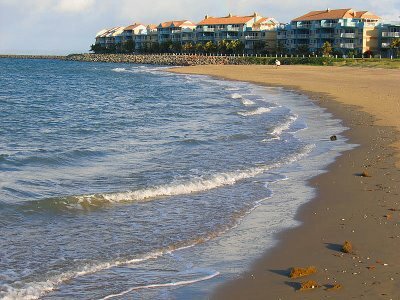 For accommodation, the Great Sandy Straits Resort is ideally located adjacent to the harbour. Facilities include; family swimming pool, 25 metre lap pool, bicycle hire, 2 full-sized tennis courts, games room, sauna and childrens playground. Allow yourself to be gob smacked and visit Hervey Bay for a 'HUGE' experience. Those whales know how to have a good time free of charge. They cruise south to the Antarctic without even checking the cost. We mere mortals would need to book the Holland America voyage ship, the 'Prinsendam'to experience the Antarctic. I'm gob smacked. I suppose the whales are more subdued in the freezing waters. Nice photos, and comprehensive travel tales. "You sure get around Darren". How your course is going? or whales watching. I have to put it on the agenda. I have not started the courses yet as it has been some mix up along the way, I still haven't received the course, it is the second time as well, I have to call them again I am starting to feel a bit impatient. I saw a lot of your photos on P4P they are great, I love the whales ones on your web site Beautiful. I am still in the new to photography gallery with P4P The comments from everyone are excellent I have learned a lot from them. I am looking to upgrade my camera as I feel a bit restricted with my current one and I miss alot of oportunities. That's a little disappointing to hear that your course books haven't arrived as yet, but it will all pan out. P4P is a great website and you'll find so much useful info there for sure. I see you posted a photo to the site and it looks quite good. You're on your way. 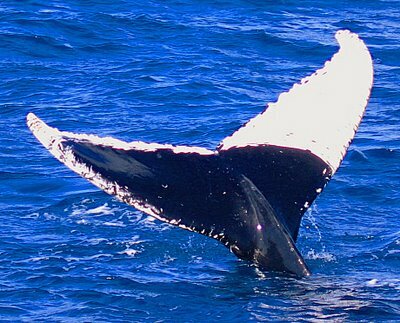 If you can make time to visit Hervey Bay and go on a whale watching trip you will be "GOB SMACKED" by the sight of these enormous creatures. Upgrading the camera sounds like a good idea if you feel you're not getting what you want. Look at it as an investment. Let me know when your course books arrive. Thank you very Darren for your comments on P4P. I called Thomson Education, They apologized and sent the course, hopefully this time it will be fine. Hey nice pictures, and making me jealous it is now into the cold weather in melbourne and those shots make me want to be somewhere warmer. They also make me want to race out and buy a bteer camera and take some more photos.